If you are looking to try something different, why not try using your rubber stamps with air-dry clay? You can quickly make great looking items ranging from ornaments to home decor. What is Air Dry Clay? Air dry clay is a versatile product that can be used in many craft projects. Air dry clay does not need to be heated, unlike traditional clays that need to be fired in a kiln at a high temperature, or polymer clays that need to be heated in an oven to cure. This kind of clay hardens and cures at normal room temperature and once dry, it can be painted and decorated in a variety of ways. There are many ways of adding surface decoration to air dry clay. One of the best ways to add texture and design is to use rubber stamps. Air dry clay can be used to coil, slab, pinch, and score and weld, and can be used as modeling clay. Air dry clay makes great embellishments for cards and other projects. The finished items need to be allowed to thoroughly dry, however, and it can take up to a week for air dry clay to dry completely. The exact time will depend on the thickness of the item and room temperature. You won't need any special tools to work with air dry clay. A rolling pin which is dedicated to crafting use, plus a knife, will be all that you'll need for most air dry clay projects. If you are rolling out the clay to work with, then a flat and clean work surface will be useful. A dedicated chopping board may be a useful surface to work on. 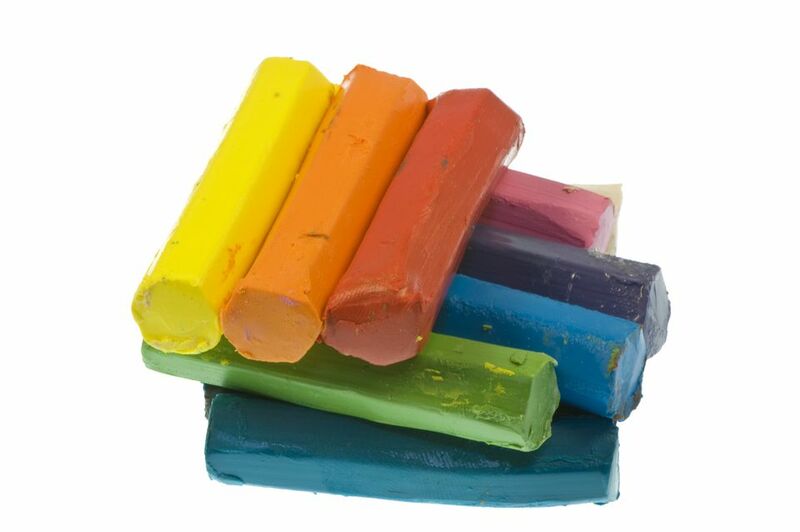 In addition to using tempura and acrylic paints, air dry clay can be colored with marker pens and inks. Other embellishments including glitter glue can be added. Just remember that air dry clay is porous and the finished item should be sealed with a varnish. Rubber stamps are great to use with air dry clay. Deeply etched stamps leave a clear and precise image, while other stamps are good for creating texture and all over designs. When using rubber stamps to make impressions on air dry clay it is important to remember that the stamped image works in reverse to how the image will look on paper. The raised part of the stamp sinks into the clay. This means that very different looks can be achieved from your favorite stamps. Remember to clean your stamps well after using them to stamp in clay. Scrubbing with an old nail brush should remove any clay left in the stamps. If you are looking to buy online, you can compare prices of different brands of air dry clay. Here Are 10 Rubber Stamping Mistakes to Avoid!